Real estate agents are not earning enough. Despite the real estate industry having some of the highest income earners in the country only a small number of real estate agents earn over $250,000 per year.With some many offices around the country why are there so few individuals at this level of personal success? Is it really that the way we do business has changed so much that our old ways do not work and we are yet to find our feet in the brave new economy? A common path to success that has worked for years is cold calling. The question is whether this tried and true approach is still appropriate in today’s web-based sales world. A new study from the Keller Center at Baylor University reaches some interesting conclusions about this important issue. 71.6 % of all calls failed to reach a live person. 2.1 % the agent to call back later. It took 208 calls (including all the wrong numbers and no answers) to get an appointment or referral. This means for every 60 people the agent actually reached, the agent would either receive a referral or schedule an appointment. 1. If an agent can make 50 calls per hour, speaking with 15 people, it will take them approximately 6 hours to achieve one appointment. 2. Anecdotal evidence of conversion rate suggests a 2-to-1 appointment to closing (listing) ratio. That means for every 12 hours of calls, an agent can expect to achieve 1 listing. 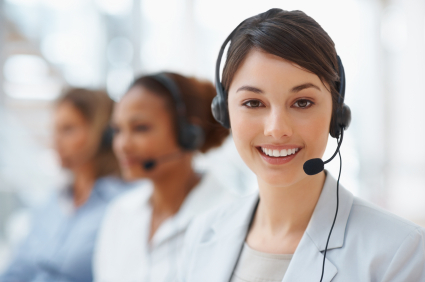 By the time the sample agents had spent 11 hours cold calling, all 134 had quit calling. Yet the data showed that it takes 12 hours of cold calling to generate a closed deal. In other words, the agents quit one hour short of reaching the 12-hour revenue generating goal. The conversion ratios from the Baylor study show that 12 hours of cold calling consistently yields one listing. Or if you want to close one listing a week that’s 144 minutes, just on 2 hours, of prospecting a day, 5 days a week. The Baylor study concludes with this important point: “Spending 3 hours a day, cold calling, Monday through Friday can potentially yield $290,063 in total commissions in a year.” This is based on a single listing being worth $4,800 to the agent. But the research from own study of sales ability in Australia is that it is not a question of being willing to cold call but rather; ‘Are you able to Cold Call?’. The assumption in this study was all sales people are equally able and that they simply don’t have the inner fortitude. The assumption is if they just showed a bit more backbone or energy or ‘millionaire mindset’ or changed something easy within themselves then they really could do it. They just don’t want to make the extra effort. The assumption is we can change ourselves, or our staff, into effective prospectors with just a little more effort. So we have focused our attention on hiring staff who want the money in the hope they will want to make the effort. But what if no amount of ‘wanting’ can make the difference when they simple are not suited to it. As we discussed in a previous article Are your staff to scared to cold call, less than 15 % of people no matter how willing, how well trained or how well managed still CANNOT. The issue then is not whether cold calling works but whether the individual can cold call. That’s something our Sales IQ Inventory can answer for you and your team. More on calling: Are your staff too scared to cold call? This entry was posted in Blog and tagged 'real estate', coaching, coaching for success, cold calling, sales IQ inventory, sales training, selling, SIP by Maya Saric. Bookmark the permalink.